I have been going over tons of forums and i am not sure what the best way to mount the rims. 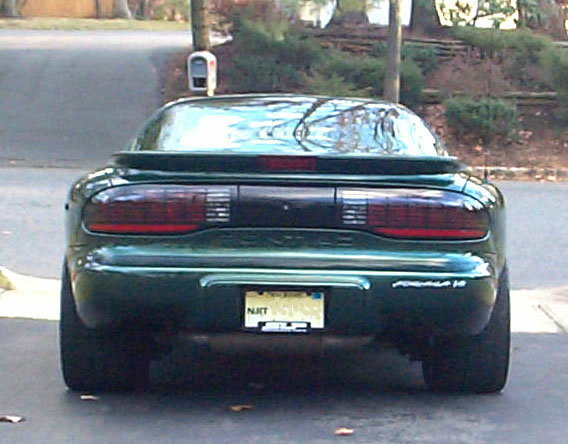 I have a 2001 Z28 Vert. 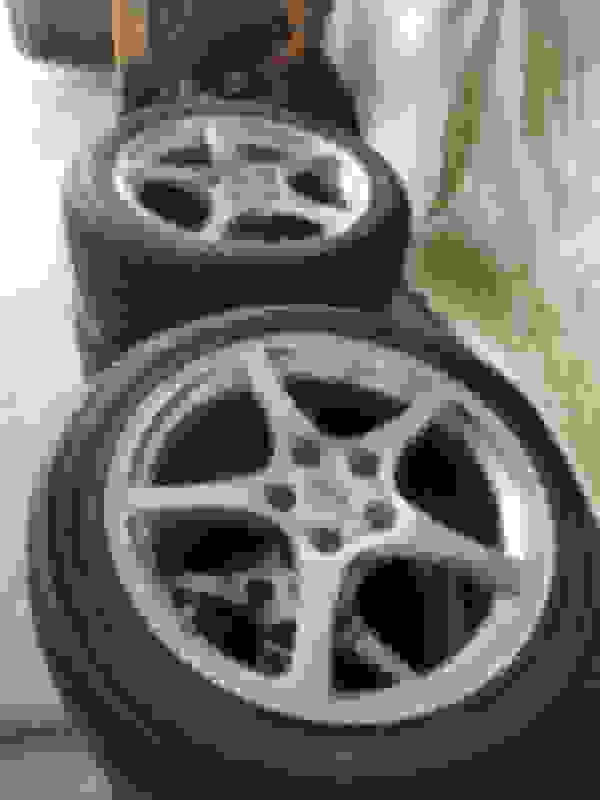 I just picked up a set of C5 wheels, front are 245/45/17 rims are 17 x 8.5 offset 56mm. Rear are 275/40/18 rims are 18 x 9.5 offset 61mm. I tried to mount the rear wheel and the bumper stop was in way and also a piece of the front inside wheel well. I don't want to cut bumperstop or use a BFH either on the car. So im wondering if spacers are fine to use so i dont have to mod of wheel well. From what im reading people seem to have different clearances in their wheel wells. Whats the best way to measure size of spacers needed. Any help or personal experiences would be appreciated. My calculation indicates a 61mm offset, with a 9.5" width gives a backspace of 7.65" (this is approximate, because it requires an assumption of the width of the flanges that hold the tire on the rim). That should not be hitting the bump stop (are they stock or the aftermarket Jeep bump stops? ), or the inner fenders. I have 11" wide, 50mm offset in the back, and they have a 7.93" backspace, and they do hit the bump stops and the inner fenders. With regard to the factory bump stops, the only thing that needed to be cut off was the projecting metal lip of the stop, not the actual composite stop material. My C5 chart (verified with online sources) indicates the 97-99 wheels were 18x9.5 61mm in the back. But those aren't 97-99 wheels in the pic. They are 2000 and up, and my chart shows them as 18x9.5" 65mm offset. That bumps the backspace up to 7.81", which should still give you a bit of clearance to the bump stop and inner fenders. Measure the backspace. Put a straight edge across the flanges of the wheel (not touching the tire) and measure from the bottom of the straight edge to the face of the hub mounting surface. Did you try fitting the rear wheels to both sides of the car? If not, the rear of the chassis may not be centered exactly over the rear axle assembly, and the wheels would only hit on one side. Is your car lowered? Do you have an adjustable panhard bar? You need to check the fitment with the car jacked by the axle. Just remember - if you have to jack the car by the chassis for a roadside tire repair, the edge of the bump stop may still move upwards and can catch the edge of the rim or the edge of the tire, causing damage. You need to check the fitment on both sides of the car. If the chassis is off center, one side may be fine and the other side may hit something. Because of the design of the panhard bar, as the chassis moves up and down, it moves sideways due to the fact the panhard bar is moving in an arc. The spacing side-to-side can change by as much as 1/4". Your situation is made worse with regard to rubbing on the inner fender, because the rear tires you have are 1" larger in diameter than the stock tires, and stick up 1/2" further into the wheel well. Your speedometer will read 3.7% lower than actual speed. At a true 60 MPH, your speedo will read 57.7 MPH. I didn’t have to use spacers. What thickness spacer/adapter are you using? Difference between 2 way, 3 way, 4 way speakers?? Whats the best way to find exhaust leak? whats the best way to clean your carpet??? Whats the best way to clean Borla Tips?